Tickets flying for Wilkinson's Live Show at Electric Brixton on Good Friday 3rd AprilTickets flying for live show date! 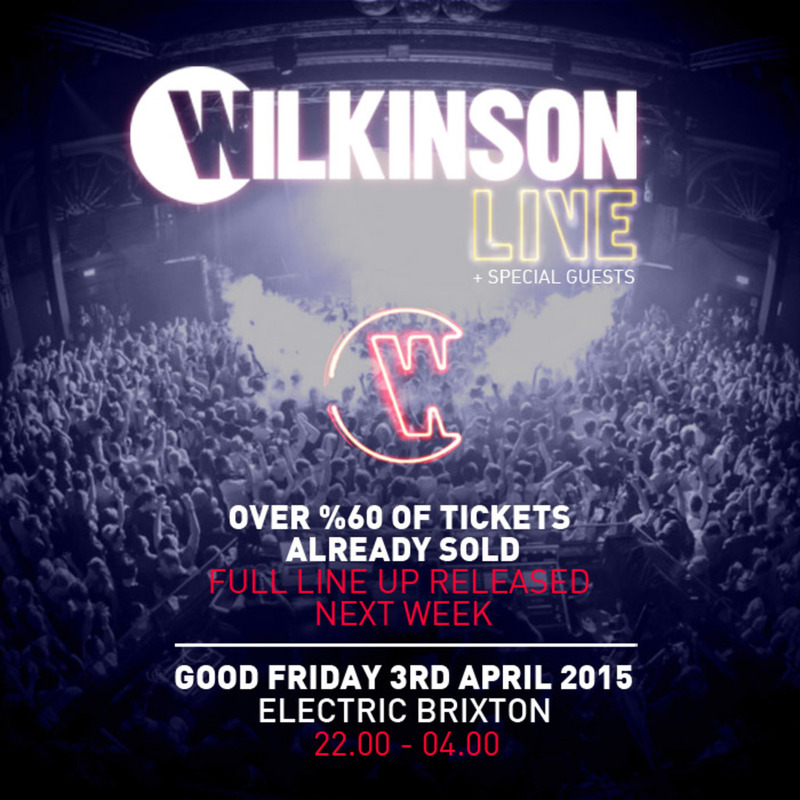 On 3rd April 2015, Wilkinson will ensure a very Good Friday for London’s illustrious Electric Brixton. After a whirlwind two years, an unprecedented ascent through club land has seen this home-grown talent flourish into a household name – culminating in this debut of his LIVE show. An incredible 2014 witnessed his critically acclaimed ‘Lazers Not Included’ album top the ITunes Dance Chart in 10 different countries. Followed by a clean sweep at the ‘Drum & Bass Awards’ winning ‘Best Single,’ ‘Best Album,’ ‘Best Video’ and ‘Best Producer,’ these accolades are no surprise - considering an extensive tour diary which spans mammoth festivals and countless sell-out club shows.